Earlier I got an email from someone who wants to make blog buttons for interested bloggers. I love the idea and asked if she would be interested in making me a few for a mention. I just wanted to let you know that I have decided to make/sell blog buttons. 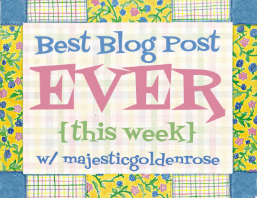 Please tell your blogging friends! I was inspired by Miss Shelby's new blog "Every Bit Of Lovely". ( everybitoflovely13.blogspot.com) Her blog is so colorful and cheerful that I decided to make a button for it. It was really fun and it's actually on her blog now. Anyways, Lately I have been trying to think of different ways to raise a little bit of money and this is one that not only helped me raise some but is also a lot of fun. So, I looked online and to buy a blog button was about 20 to 25 dollars or so. Now, I'm not a professional or anything and if you ask me, that's alittle much. So I'm going to be selling the buttons for 5 dollars each. I'll have a page on my blog soon ( Digital Diary) but you can just email me if you want one. What it will be is, I'll have you answer a few questions like the color you want, pattern, anything special, etc. Once you answer those I'll make your button and send it to you. If you don't like it or you want something a little different then I'd gladly change it for you. Once I email it to you, you would send me 5 dollars in the mail. Also, If you want to buy like three or more for maybe one for you and surprise your friends with some, give it to them to be nice, for there birthday ect. Then I'll give you a better deal. So, how does that sound? Please tell your friends and I would love it if you would share it on your blog! (If you do then please let me know and I'll check it out!) Thanks! Hopefully I can get a few orders. Last year, I shared how to make instant soda slushies because it was so cold. Now we are making Instant Peanut Butter Fudge as it gets warmer. The recipe I used said a ratio of 14 oz frosting to 16 oz peanut butter, but thats a bad idea, I promise you you want yours sweeter: You can use equal parts. If you use another brand of frosting, make sure that its not cream or something. Other flavors (chocolate, etc) work fine though. Step 1: Put all the peanut butter into a mixing bowl or other container. Yes you can use natural Peanut Butter--- just be sure to stir it all in to itself first. In the video below, thats what we did. The bowl we used would be your glass pan if you want it to be fancy smancy. Grease as needed. Step 3: Pour the frosting immediately over the peanut butter and stir the two together! It will get thicker and really smooth as it cools, so keep that in mind. It will also lighten in color. We used a clear bowl, which was nice to see where the not-mixed parts were. Step 4: Let set by at least 1 hr of refrigeration. I just got the best idea! Instead of doing pinterest, I just save my important/funny pins in folders on my PC, which has my laptop linked to the home PC so I add all the time.... These folders have like 300-500 "pins" in at the moment and I have the programming to do videos to share them which sounds like it will be much cooler than having to upload them one by one and add captions! I have one that is "That's Me" that is really funny and maybe over the summer I make a video where I show them and talk about them? Ive yet to do a good video no matter how awesome it sounds, but I think I can do this one! My only concerns are a) the lighting where I am which is always an issue, b) that I might talk too fast c) that no matter how long I talk the videos will run too long. But I totally want to do it! I tried this once and it was pretty cool!